Legs… the often dreaded training day, yet very important muscle group! They are crucial to an overall solid physique and part of the x-frame look. They are immensely important for strength training as they are used heavily in many of the prevalent strength training lifts. Seeing as the legs are very important, I figured I would make a top 5 leg exercises post! Onto exercise number one! Although your typical “bro-science” isn’t always information you should follow, when you hear them say “you gotta do squats for legs” you should probably listen. With the 2 joints that the quads belong to actively being moved in a way that effectively targets them, we know this is going to be a good quad exercise. However, what makes this a great exercise is its ability to be loaded up, as well as the ease of applying progressive overload. Be sure to practice proper form and make sure you are always in control of the weight, especially with big compound movements like the squat. The squat is an extremely versatile exercise, being a great movement for hypertrophy because of the reasons mentioned above, it is also a great strength training exercise. Besides what was mentioned above, the squat has many other factors that are beneficial for strength training. This includes working effectively with other muscle groups, it’s ability for variations to be trained and how you can target specific weak points of the exercise effectively to help strengthen it as a whole. The squat is also a very functional exercise overall, and with it being a free weights movement done with the need for foot stability, it also requires a large degree of core strength and stability. Stabilizing muscles are also very important to this exercise. This is another reason why the squat is a great strength training movement, also a great pick for athletes! The squat can also effectively be applied to other types of training, such as power training by changing up your programming. Or conditioning training in the form of circuits when properly applied. There are many other beneficial uses of the squat and I invite you to share your questions in the comment section below so I can leave a reply! How do we use the squat in our training? Well, there are many ways we can implement it, all of which are done differently depending on our goals. One example would be for hypertrophy training. A moderate weight done in the rep range of 8-12 is likely where you want to see the majority of your sets being done. However, don’t be afraid to load it up and work in the 4-6 rep range as there are many benefits to training heavier relative to hypertrophy. Make sure you are getting in enough volume if you do this however. For strength training, the majority of your sets would be done in the 1-5 rep range using heavyweights. Use of variations and assistance exercise are beneficial to strengthen the squat as a whole. For strength training, going into the higher rep ranges such as 6-10 or AMRAP style sets (with consistently good form) can be beneficial. They usually will not make up the majority of your strength training however. Next on the list comes the bulgarian split squat. With it being a unilateral exercise it is great for targeting muscle and strength imbalances. Targeting one leg at a time also has many benefits. You can also perform it in different ways to focus on a multitude of things. Targeting muscle and strength imbalances are great for strength training as they make the movement more efficient and bring up the lagging muscle/side. This is also advantageous for hypertrophy training because the more efficiently you can perform an exercise, the more you’re going to get from it. Unilateral training often allows you to focus on a muscle more as well. Another strength training benefit of this exercise is unilateral training demands more stability, in this case through the foot, hip, and knee. This has good carry over to the main lifts, like the squat. Lastly, we need to talk about implementing this exercise into our routines. This is a movement that you can easily apply progressive overload too, with weight, but especially with reps. Loading this movement up heavy is great for strength training and will challenge your stability in multiple joints. 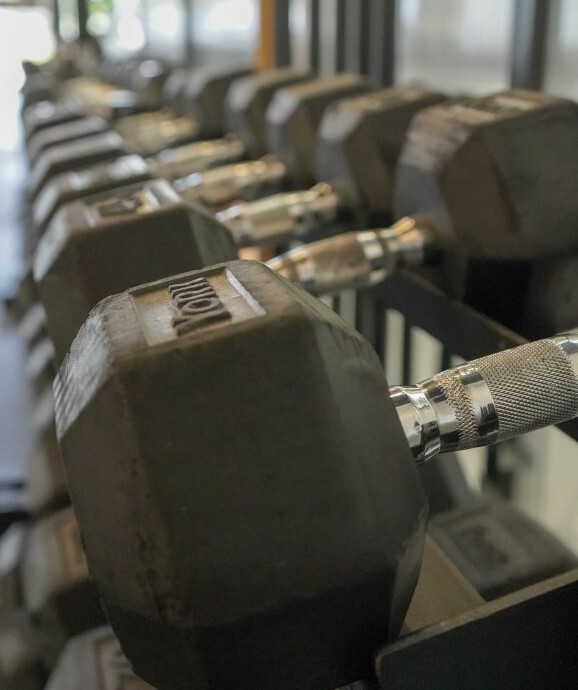 Using lighter weights can allow you to focus more on the muscle and crank out more reps, which means more volume, and as we know volume is directly related to hypertrophy. You can turn this into a great power exercise by varying the weight and rep range, or make it into a plyometric movement. You can also use this exercise effectively in a strength/conditioning circuit. Although this wouldn’t be my first pick for a strength exercise, the leg press definitely has its place for hypertrophy. Being able to load it up and work in a variety of rep ranges allows you to apply progressive overload easily, and fit the exercise into your routine how you like. Whether you use it as a main movement at the beginning of your workout or to finish off your quads at the end, the leg press is quite versatile. Because the leg press is a machine exercise, it doesn’t challenge the need for stability too much. However, if your quads need to get used to handling heavier weight, or you have a muscle/strength imbalance, it does have its place in strength training. Onto where this exercise thrives, hypertrophy. We know the main reasons why this is a great hypertrophy exercise, but what are the others? Some other benefits include being able to perform variations of this exercise easily such as slow eccentrics, paused reps, or varying the tempo to your liking. This is also an exercise that you can easily and effectively utilize bands with, for some additional variation and hypertrophy benefit. You can perform this exercise for power training, however, it wouldn’t be my first pick because it is a machine exercise. This definitely would not be an exercise that I would use for strength and conditioning circuits. How do we use the leg press in our training? If you do use this for some strength training, I would use other more “strength relevant” movements first. If you’re wanting to get your quads to feel heavier loads, then do this exercise with heavyweights in the lower rep range, maybe mid-way through your workout. If you want to train this exercise unilaterally, then I would suggest doing it towards the end of your workout in the moderate rep, and moderate weight range. This will allow you to focus on working your quads. This will also allow you to get some strength and hypertrophy benefits. Talking about hypertrophy, this is where there are lots of options. You can train this movement heavier in the 6-10 rep range near the beginning of your workout as one of your main exercises. Or, use it as a burnout with 15-20 rep sets near the end of your workout. One of my personal favourites is a leg press drop set… they are tough… but worth it. These are a few suggestions, of course, there are many other ways to implement the leg press. 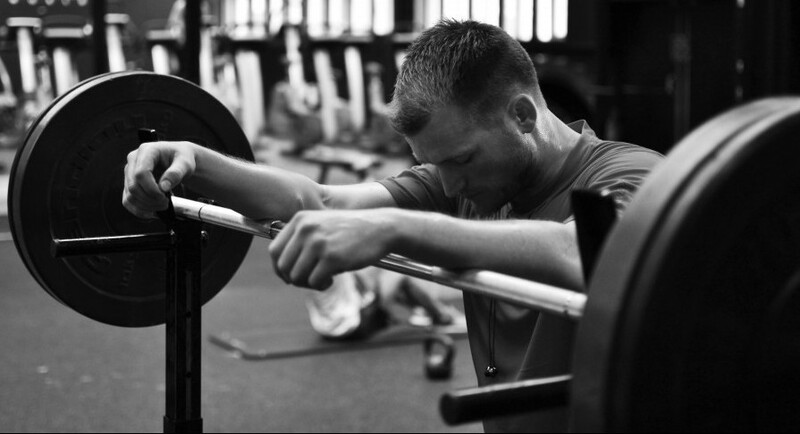 Although this exercise is tough to perform heavy, and therefore it is tough to apply progressive overload to, there are still ways to effectively include it in your routine. I like the variation of this exercise, with it being performed in a front squat manner. I also make sure I perform it in a more challenging way to ensure I am benefiting from it. Because you cannot really train this exercise too heavy to begin with, I usually train it as heavy as I can, and do moderate to high reps with it. This exercise is great for working on squat depth and form as it is challenging the squat movement pattern in different ways. You can turn this into a plyometric exercise, not done to great fatigue or failure to work on power and strength. Where I use this exercise the most is for hypertrophy, with a burnout using a plyometric. It is pretty straight forward to apply this exercise into your routine. Since this wouldn’t be your main lift, I would suggest doing this during the midpoint of your workout or towards the end. Focus on training this explosively and do it towards the midpoint of your workout. Or, if you’re going to use it as a burnout for hypertrophy, use it towards the end. I usually do 15-20 reps to a high fatigue level done with a plyometric using a heavyweight (relative to this exercise) for hypertrophy purposes. This exercise can also fit into conditioning/circuit training quite well, especially if using a plyometric. This is a nifty little exercise, and one that I took a page out of Mike O’Hearns book for. This exercise has many applications because of the way it is performed. It’s great for those with issues in certain parts of the squat, an awesome hypertrophy exercise, and one that still has carry over to strength training and form work. If your someone who has issues with ankle mobility, this is great so you can still squat while working on addressing the issue. Many people have issues at the bottom part of the squat, so while working on that, using a box for the squat is a great way to progress into a full squat. Onto the hypertrophy benefits, because this exercise was originally performed with a slow eccentric, it is great for focusing on the muscle you’re working, while getting the benefit of effectively achieving muscle damage. 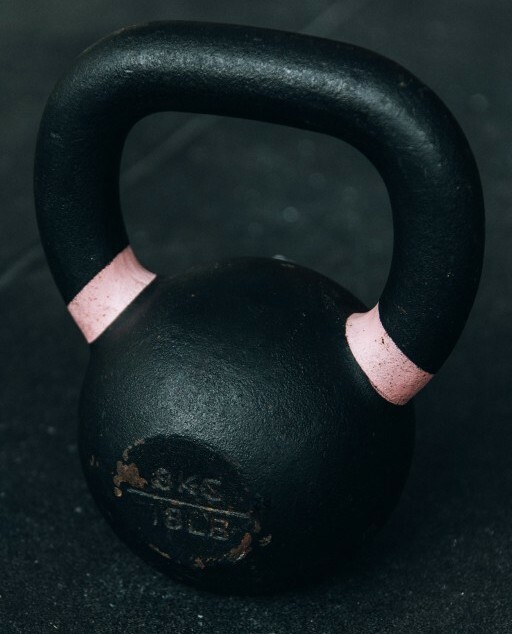 Although this isn’t an exercise that would typically be performed heavy, and therefore not a main strength exercise, it does have benefits for strength training. If you’re focusing on hypertrophy, you are still performing the squat and therefore using a similar movement pattern, you will also likely be able to progress in one way or another. If you have issues with squat form in general, and this allows you to perform the squat better, doing this with a slow eccentric is beneficial for working on form and achieving the proper movement pattern. How would we use this exercise in a routine? Well for hypertrophy purposes, I would suggest working in a moderate 8-12 rep range with a moderate weight and focus on using your quads. If you’re wanting to maintain your strength, or get a small benefit for strength, consider using a pyramid training style so you can use heavier weights and lower reps, as well as light weights and higher reps for hypertrophy. If you’re trying to work on form, consider doing slow eccentrics with a relatively easy weight so you can get used to the movement pattern. The box used in this exercise is also good for working on form and transitioning into not using a box/doing a full squat. That concludes this article. You now have 5 new exercises that you understand and can use in your training, all with different roles. You have the squat for your main movement, the bulgarian split squat as a versatile secondary movement and the leg press for a strong muscle builder. You have an exercise in the goblet squat that can fit into different spots of a routine and achieve a specific task. Lastly, you have a very versatile exercise that can be used for numerous tasks and achieve them effectively. Good luck with your next leg day training, and consider using some of these exercises! As always, if you have any questions or comments please do not hesitate to leave them below and I will be sure to reply. Thanks for writing this article! I used to dread leg day and many times skipped it altogether because it wasn’t as “fun” as doing upper body exercises. It was only recently that I became serious about making it a part of my fitness programs and WOW what a difference! Now, I can’t imagine skipping it, and actually look forward to it! I noticed that the exercises you highlighted all involve some variation of the squat motion (other than the leg press, which could be counted as working similar muscles). Are there any exercises you would recommend for single-leg movements and calves beyond the traditional lunges and calf-raises? Hi Steve, great job on consistently training your legs, they are very important! Yes, some unilateral exercises would obviously include lunges and their variations, however, there are many exercises that can be performed unilaterally as well. A pistol squat is another exercise, it is quite advanced though. As for calves, doing weighted walks on your toes can get a good burn going. It’s an awesome isometric exercise. Hope that helps!